Eurodollar is trying to form its first correctional wave; so far, the pair has completed two impulses of this wave. We think, today the price may form the third impulse with the target at level of 1.1340 and then continue this correction towards level of 1.1218. After such pattern, we’ll estimate if this correction may continue. 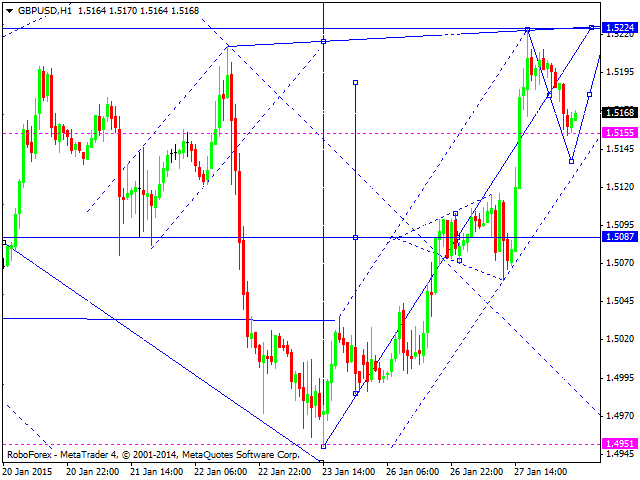 If the pattern isn’t strong enough, the pair may continue moving inside the downtrend. 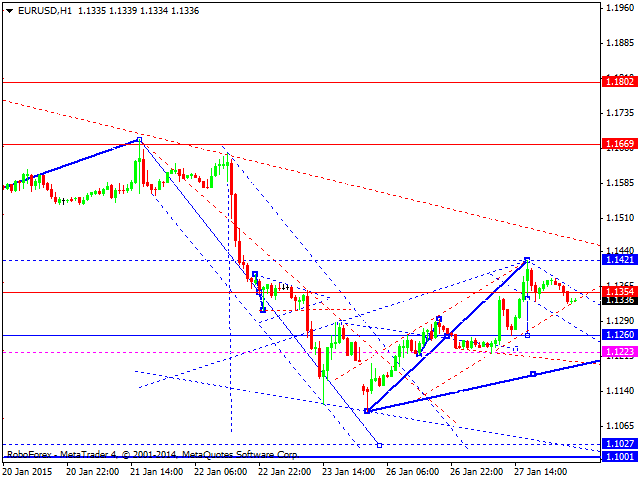 The next downside target is at level of 1.1100. Pound is still forming a consolidation channel; the pair has been able to grow and reach the border of its descending channel. If the price is able to break the channel and form a continuation pattern, it may grow to reach the upper border of its consolidation range. Later, in our opinion, the market may start moving downwards again to reach new lows at level of 1.4870. Franc is attempting to extend an ascending structure towards level of 0.9110. Later, in our opinion, the market may continue moving downwards inside the downtrend and reach a new low. Yen is still moving inside a consolidation channel. 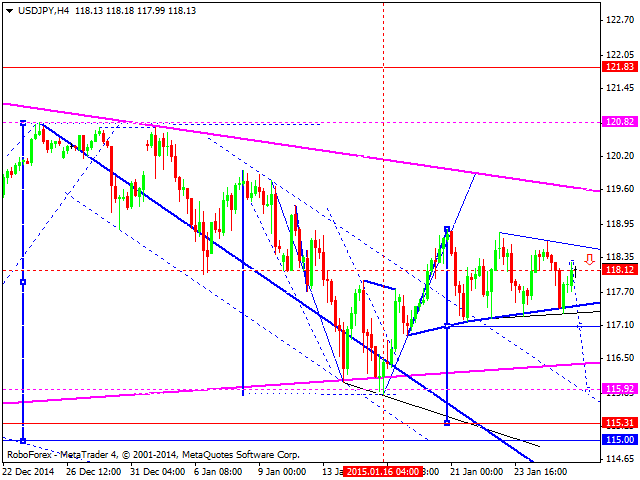 We think, today the price may continue falling to reach level of 115.00 and then return to level of 118.00. Later, in our opinion, the market may moving inside the downtrend. 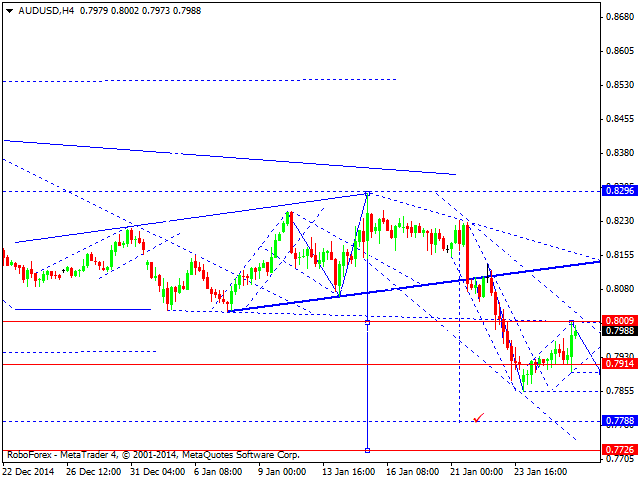 Australian Dollar is trying to form a correction towards level of 0.8000. Later, in our opinion, the market may continue falling inside the downtrend. The main target of this wave is at level of 0.7730. Influenced by the negative fundamental background, Ruble has reached the upper border of its consolidation range. 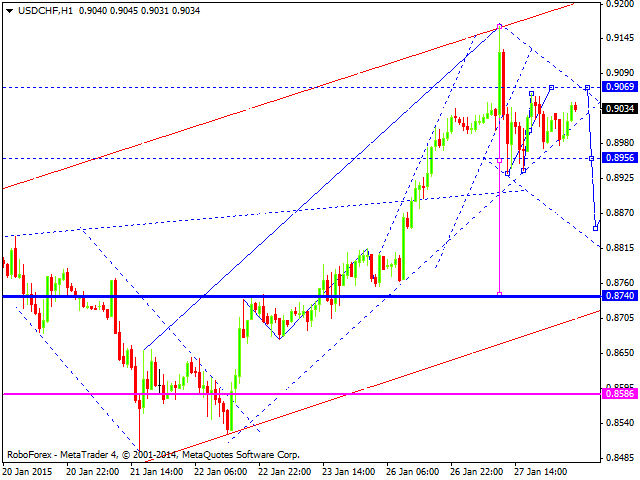 Possibly, today the price may grow to reach level of 69.00 and then fall again to expand this range up to level of 55.00. 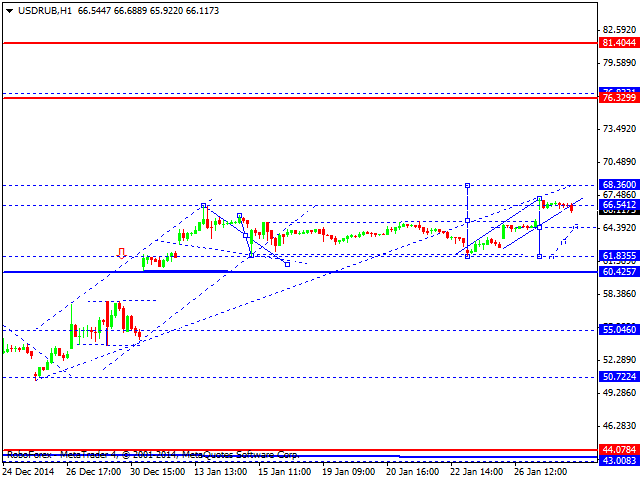 The pair is expected to start forming a descending wave with the target at level of 44.00. 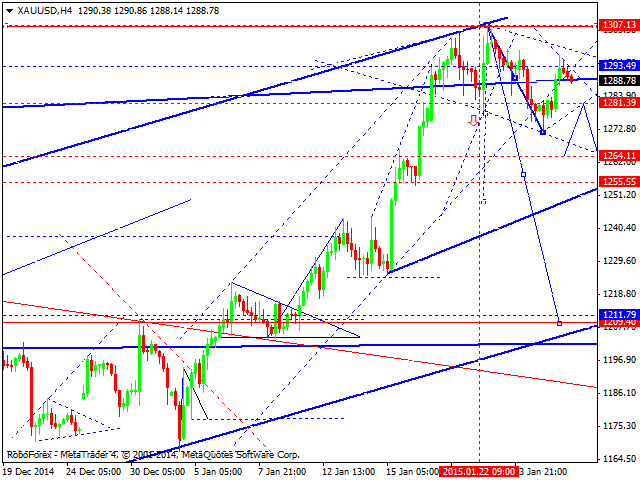 Gold is still moving downwards; the instrument has broken its ascending channel downwards. We think, today the price may consolidate there and then continue falling to reach level of 1255. This descending movement may be considered as the first wave. The main target is at level of 1113.